Spread the word – they’re back at The Palace! After a successful tour of 2018, this block buster UK tour comes back to the Palace Theatre Paignton. EARLY BIRD BOOKING OFFERS UNTIL 31 DECEMBER 2018, so get your tickets quick. 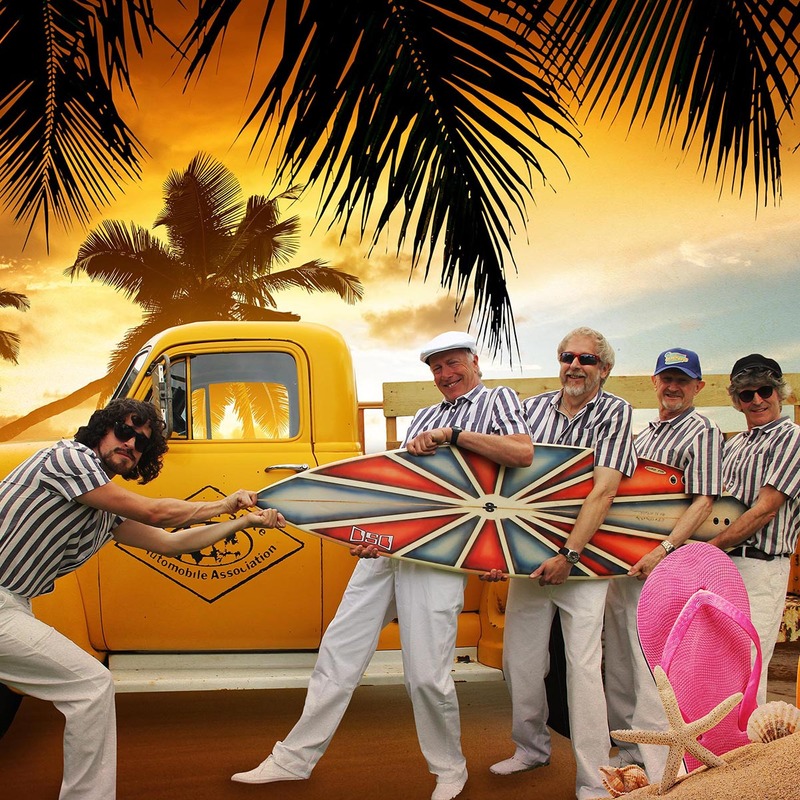 Beach Boyz Tribute Band is back in town with its brand new 2019 show The Beach Boys® Tribute Show! See the boys up close as featured on BBC TV, BBC Radio Wales and BBC and independent local radio stations across the UK. Come join a journey in time and space, back to the 1960s, across to the sunny shores of the Golden state of California where the surf sound was conceived. You’ll hear Beach Boyz Tribute Band re-create the early rock and roll sounds with such accurate authenticity you will be transported back to the days of black and white; then carried on a wave of harmony to the multi coloured complex orchestral works of Brian Wilson and the iconic Pet Sounds. Do not be surprised if at the end of the performance you are on your feet, clapping and cheering for more, you will be in good company, for this tends to happen at every Beach Boyz Tribute Band concert across the UK and beyond!